Installation of an LPDA (Create Japan) in the garden of the observatory. 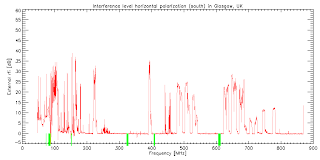 Although the spectrum is quite crowded, there are some gaps which allow solar radio burst observations. 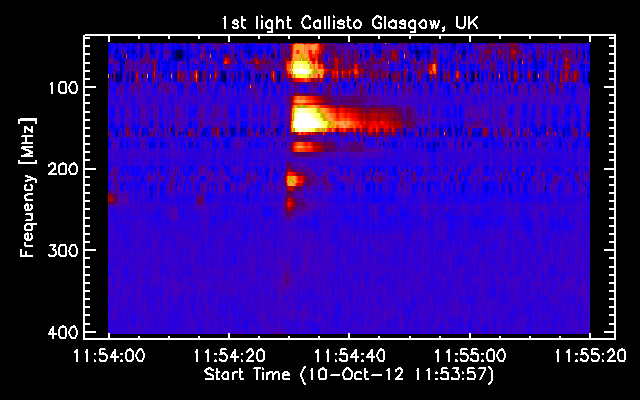 Now we are waiting for the 1st light. 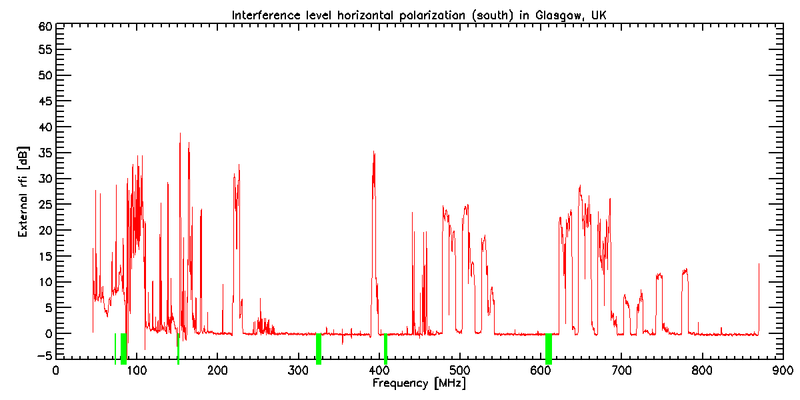 Green bars mark frequency ranges which are protected for Radio Astronomy in the UK. 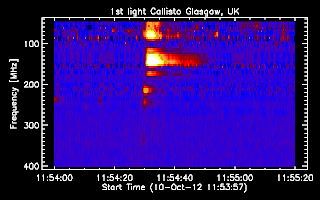 1st light Callisto Scotland, UK.